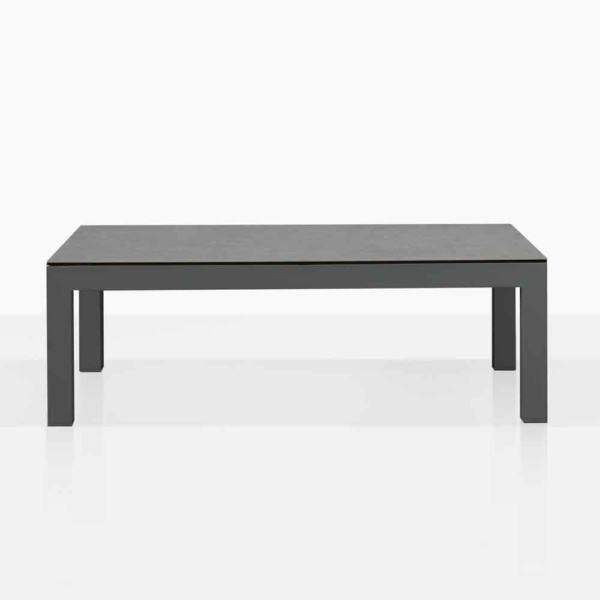 The Amazon Outdoor Coffee Table in dark charcoal aluminium is ultra sleek and modern. It has a simple design with four legs, but the top has a different look and slight texture that is still smooth. It is made with a special blend of concrete and fibreglass. The Amazon Coffee Table is part of the grand Amazon Sectional Furniture Collection. This vast collection includes pieces that allow you to create a seating area that is large for many people, or very small depending on the amount of space you have available. This rectangular coffee table can also fit in well with other styles of chairs and sofas. 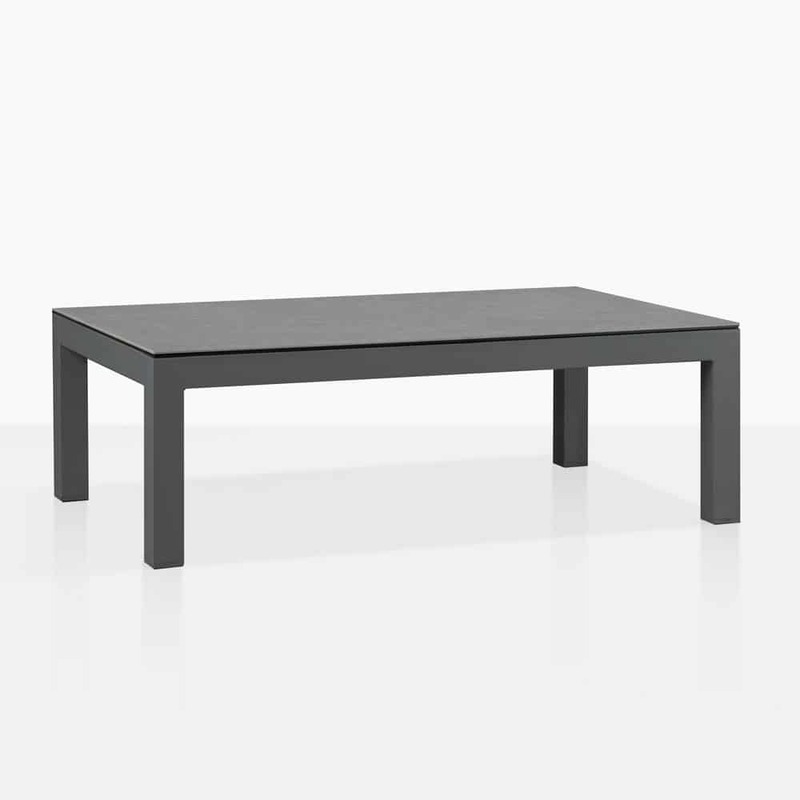 Revitalize your space with this sharp looking and sophisticated coffee table.